About Us - Healthy Living 4 Today..."Eat the Foods You Love, Regain Your Health, and Lose the Weight for Good!!" 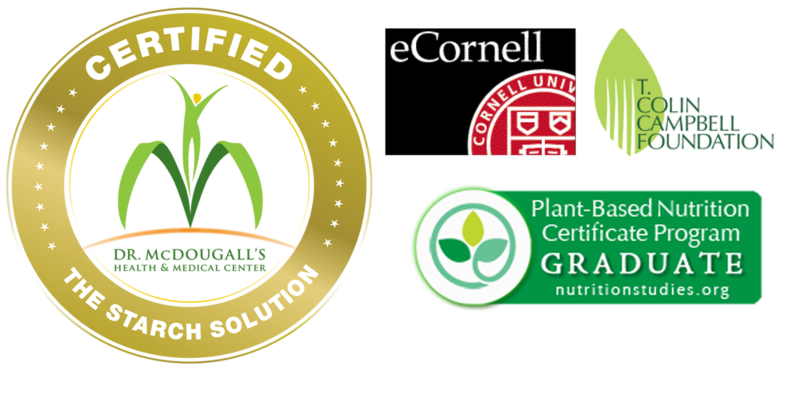 Mr.Powell is Certified in Plant-Based Nutrition through Cornell University, in partnership with the T. Colin Campbell Foundation, as well as being a Certified Instructor for the McDougall Starch Solution Program: A scientifically based program designed and successfully used by Dr. John & Mary McDougall for nearly forty years to help patients regain their lost health and appearance. He is always seeking to further his knowledge in Nutrition, Health and Wellness. Mr. Powell has studied under some of the foremost experts and pioneers on Starch Based and Whole Food Plant-Based Nutrition in the United States, experts such as John A. McDougall, MD, T. Colin Campbell, PHD, Neil Barnard, MD, Pam Popper, ND , Dr. Dean Ornish, Caldwell Esselstyn, Jr., M.D. and others. Also, while there he learned how other attendees health had improved. Type-2 diabetics blood sugar levels were normal within a few days and some were completely off medications, arthritis patients were pain free, the average reduction in blood cholesterol was 15% in a week and almost all experienced an average weight loss of 3-5 pounds per week. He says, "The results are remarkable, and now I know why." It's about the food and the healing it provides when you follow a Starch Based Whole Food Way of Life. After this life changing experience, and his new found health, he became passionate about health and nutrition, got his education and made the career change to Nutrition, Health and Wellness. It is now his desire to share his passion with others so they too can achieve optimal health in their life!